The Toyota Aqua was again Japan’s favorite car model in 2015 with the Prius and Honda Fit the other top three best-selling car models. The Aqua and fourth-placed Corolla were the only car models to have kept the same rank positions as a year ago. Most of the most-popular car models in Japan sold significantly fewer cars in 2015 than a year ago but only two new models – Mazda Demio and Toyota Sienta – appeared amongst the top ten. Note: Mini cars (Kei) are not included. The list of the ten most-popular car models in Japan in 2015 was led by the Toyota Aqua for the third consecutive year. The Aqua – Prius C in some overseas markets – has been a sales success since it introduction in Japan in 2011. Sales were down almost 8% in 2015, which was less than the market average. However, this model has received only minor updates since it introduction and the Japanese car buyers may be keen for something new. The Toyota Prius regained second place on the list of the best-selling car models in Japan in 2015. Sales of the Prius were down by almost a third with the final few months of the year particularly difficult as buyers anticipated the launch of the fourth generation Prius in December. The Prius was duly the most popular car in Japan in December 2015 but over the full year deliveries were only just more than half that of the smaller Aqua. The Honda Fit was the big loser amongst the top-selling car models in Japan in 2015. Fit sales were down by 40% allowing the Prius to regain second place. The evergreen Toyota Corolla maintained its fourth place with sales down less than 5%. Toyota’s traditional conservative model was the only car other than the Aqua in the same sales rank position in 2015 as a year ago. The Nissan Note improved from sixth to fifth despite selling fewer cars in 2015. The Note swapper places with the Toytoa Voxy the sold even weaker. The Toyota Vitz similarly lost 13% of sales but gain a rank position. The Mazda Demio (Mazda 2 in some markets) was one of the big gainers. 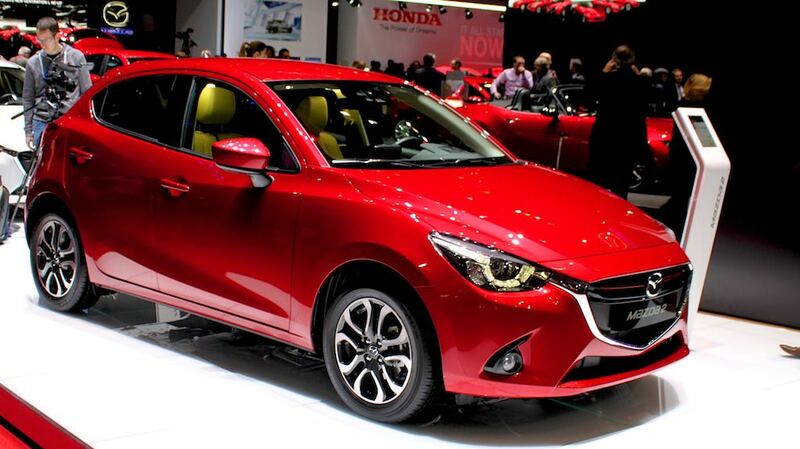 Demio sales were up 50% allowing the Mazda to reenter the top ten at 8 from 16 a year ago. The Honda Vezel was another Honda model loosing big in 2015. Vezel sales were down by a quarter with the model slipping from 7th to 9th. The Toyota Sienta took the last place on the list of ten best-selling cars in Japan in 2015. Toyota launched a new Sienta mid-year with the new model much more exiting than the rather frumpy car it replaced. Sales nearly tripled with the Sienta the second most-popular car model in Japan for several months during the second half of the year. The Nissan Serena slipped from 9th to 11th and the Toyota Noah from 10th to 16th.